“I was growing tobacco 4 years back using chemicals. The production cost was more and profits earned was too less. Looking for the change, by chance I got associated with Sahaja Seeds. 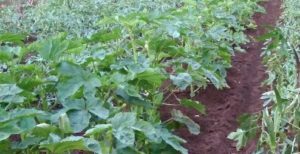 The organization promised to give the technology share for growing 14 varieties of okra with only requisite to stop using chemical agri inputs in the farm. I agreed to be part of this project. They gave the seeds for free. 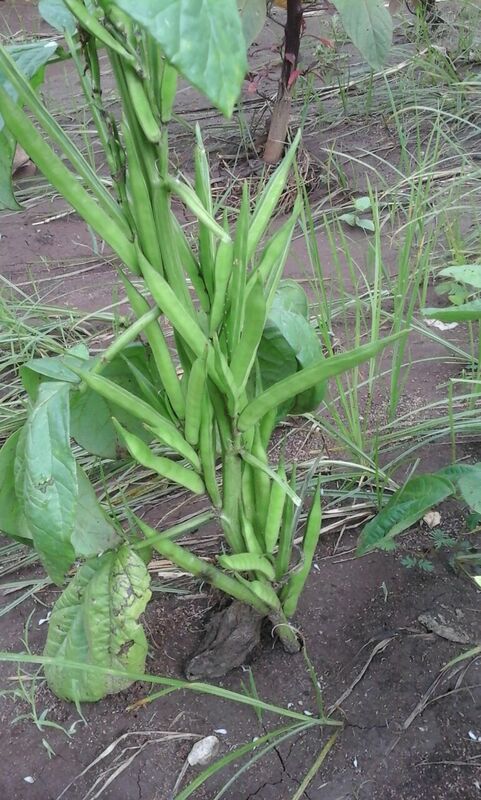 Initially it was tough but now it is quite gainful because I am selling okra seeds at the rate of Rs.1000/kg. Simultaneously I also began growing multiple varieties of tomato and beans. Seeds of these crops are sold at premium price. 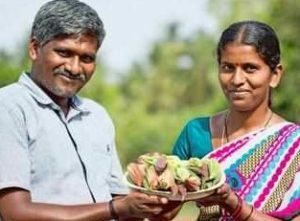 Consequently, life has moved from cash crunch to some affluence and despair in farming changed to hope for better future,” asserts Mr. Shankar, farmer from Hitne Hebbagilu, Mysore district, Karnataka. He is growing multiple crops in just 2 acres for seeds and vegetable produce. Few crops to name are 6 varieties of beans such as purple beans, white beans; cow peas; 3 varieties of tomatoes namely yellow cherry tomatoes, Mandanpalli tomatoes, Kashi tomatoes; green leafy vegetables such as red amaranthus, white amaranthus, coriander, spinach, raddish etc. 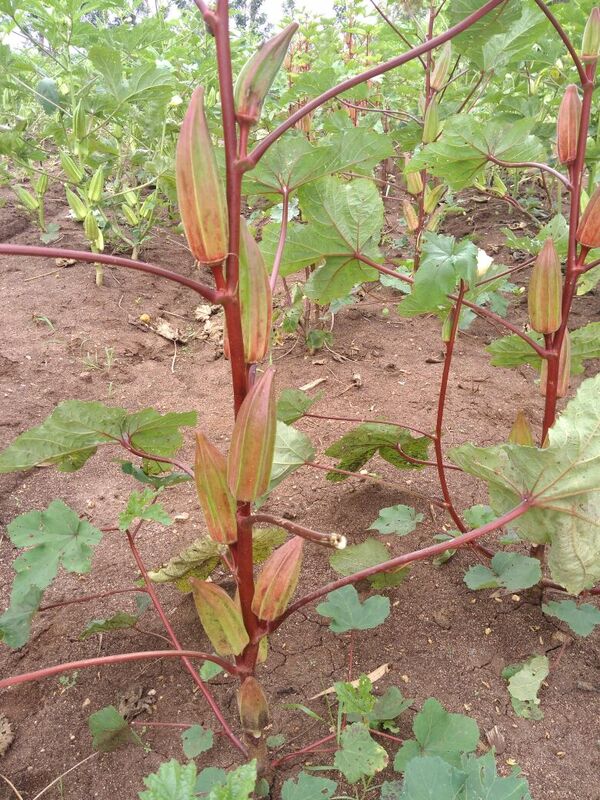 The seeds of 14 different varieties of okra are native seeds procured from various countries. “Sahaja seeds wanted to know whether these diverse okra varieties can be grown in India or not so they gave the seeds. It was successful and we got good yield in all 14 varieties. 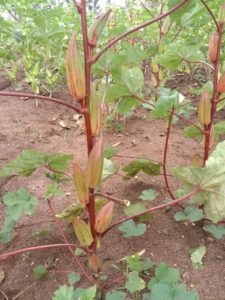 Roughly 3-5 kg seeds I obtained for each okra variety,” he adds. These varieties are 6 months’ crop, right from sowing till harvest. Approximately he has 100 plants of each variety of vegetable in his farm. It takes 7-8 days for seed germination and flowering takes place in 1.5-2 months. After discontinuing tobacco cultivation major change Mr. Shankar made in his farm was to adopt organic farming. “Sahaja Seeds grouped 20 like-minded farmers and educated us on organic farming. We were explained about the advantages and health benefits of organic farming. Since past 4years there is no trace of chemicals used in the farm,” he recalls. Organic farming inputs used in the farm are cow manure, vermicompost, jeevamrutha, ghanaamrutha and sand urea. “Sand urea is prepared using cow urine and sand. We mix the two and fermenting it. The effect of sand urea is similar to chemical urea.” There are one desi cow and 2 oxen at the farm. The conversion period was not smooth as production dropped for first two years but it was promising, “I was getting good yield when chemicals were used in the farm but after shifting to organic agri inputs the yield dropped for first two years however from third year onwards the production increased. Finally, from 4th year onwards I started getting more yield than it was with chemical farming,” he states. On an average one kg seed is obtained from 80 kg produce. Other than selling seeds to Sahaja Seeds, Mr. Shankar also sells seeds to other farmers from Hyderabad, Chennai and even foreign countries. He is able to produce 25-30 kg seeds of every variety. Amongst all the 14 okra varieties red okra is most in demand. Purple beans seeds are sold at Rs. 600/kg, meter cow peas Rs. 600/kg, yellow cherry tomato Rs. 3500/kg, Madnapalli tomato seeds Rs. 4500/kg, Kashi tomato seeds Rs. 4500/kg, White climber beans Rs. 600/kg, normal beans Rs. 350/kg. Mr. Shankar supplements the farm revenues by selling the farm produce in local markets of Periyapatna, Puttur and Mangalore. “I sell vegetables at double the price of chemically grown veggies,” he shares. 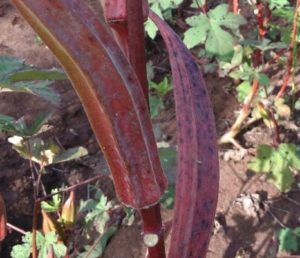 In future he shall continue the present operations with more attention to red okra variety as he already holds sales order for the same. “I had experienced both the worlds of farming very closely, chemical and organic. My preference goes for organic farming because of higher profits and good health. Further I feel to bring the change in the income we farmers must enthusiastically change the crop. I did something different although it was risky but it was worth the try,” he signs off.